Historically astrologers have described comets as evil omens, heralding cataclysmic events, sudden political upheaval, and even the death of kings. An astronomer would define the intermittent appearance of this phenomenon as a relatively small extraterrestrial body consisting of a frozen mass that travels around the sun in a highly elliptical orbit. 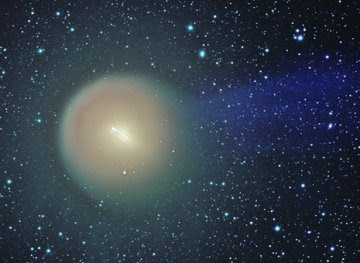 The word comet stems from the Latin cometes meaning long-haired, describing the characteristic tail of a comet that develops the closer it gets to the Sun. So why would the ancients attribute the sudden appearance of a hairy ball of light with doom and gloom. Well history is filled with accounts of the observation of comets that occurred simultaneously with all sorts of upheavals, as well as births of kings and leaders. Any unusual light body would have been interpreted as a message from the heavens, and of course kings were seen as the expression of God on earth. For the second time this year a comet has appeared in the night skies. Last winter Comet McNaught lit up the evening sky as it passed in front of the starry back drop of the constellation Aquila, the Eagle. I remember watching its light as it was revealed in the Western sky at sunset, and coincidently observed three eagles fly by my lakeside abode. At that time the synchronicity struck me as quite foreboding, and sure enough a few weeks later I experienced upheaval in my own life. But even more disturbing than my own drama, the world experienced the loss of three "kings": James Brown, Gerald Ford, and Sadam Hussein. In late October, Comet 17P/Holmes appeared and astronomers focused their telescopes on the brightening space snowball. The comet was first discovered in 1892 by Edwin Holmes. While conducting regular observations of the Andromeda Galaxy (M31), Holmes observed similar outbursts and magnitude changes as are now occurring. (And once again on a personal level, I had just received information about Andromeda during an October meditation. Far out!) On October 24, 2007 Comet Holmes shocked sky watchers with a spectacular eruption, brightening almost a million-fold from 17th to 2.5th magnitude in a matter of hours. Astrologically speaking Comet Holmes is transiting the constellation Perseus, currently near the fixed star Mirfak. Perseus and Andromeda were part of a group first written about by the ancient astronomer Aratus in his book Phaenomena circa 275 BCE. As part of a group of northern stars called the royal family, Perseus is the Prince, and Andromeda the Princess. The constellations are connected by stories about horses and heads (Medusa), slayings, and rescues (from dragons/reptiles). What could that mean for today's royals? 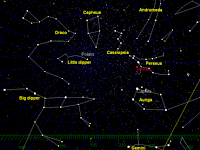 As you may see in the above image of the comet's projected path, Holmes loops around the stars of Perseus. It first encounters the fixed star Mirfak, which Brady's Book of Fixed Stars describes as representing young, male energy. Its expression could be one of increasing vitality, or inducing potential recklessness or rashness of action. In late January, Holmes meets up with the fixed star Algol, or Ras al-Ghul as it was known to the Arabs meaning Head of the Demon. It may be a reference to the Medusa's head which Perseus severed and used to slay the dragon as he rescued Andromeda. In any case,according to Brady ancient writers described it as "the most malefic star in the heavens, causing hangings, death by the loss of one's head, and any other foul, demonic deed that could befall the human race." 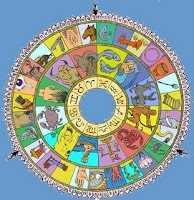 Let's hope our young royals have a good astrologer handy to make sure they don't do something rash and lose their heads. Great comment and refreshing perspective... thank you for your insight. Out of reverence for the face of the goddess known as Kali, I do have to point out that the Sanskrit "Kali" of the Kali Yuga is not the goddess Kaali(if it were the Earth would not be suffering as she is). Kali Yuga is associated with the apocalypse demon Kali, not Kaali. These two are unrelated words in the Sanskrit language. The "Kali" of Kali Yuga means "strife, discord, quarrel, or contention," whereas the goddess "Kaali" means "time". End of the Kali Yuga means the end of strife and discord. I pray we are at the end of the Kali Yuga and at the dawn of a resurgence of the divine feminine. 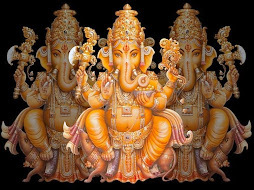 I am drawn to Jay Weidner's hypothesis that 2012 is a period during which we make a hyperdimensional flip from the Kali Yuga and flip into the Satya Yuga or golden age. For more, see links under my fav links.